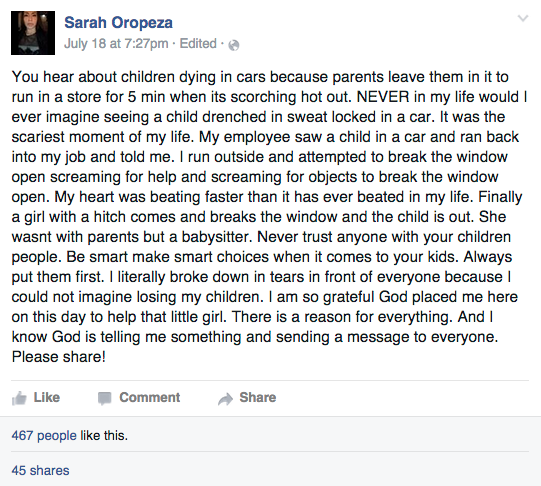 Sarah Oropeza is the manager of a Famous Footwear. She was inside the store July 17—a day that was in the 90s and felt like 110 degrees—when one of her employees ran in and shouted that a toddler was locked in a car alone in the parking lot, according to KCTV5. Oropeza whacked the window with a screwdriver and tire iron. “I was just praying, ‘Break the window. She is going to die,’” Oropeza told KCTV5. 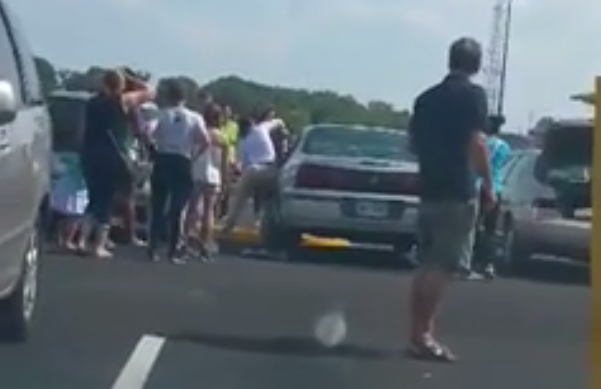 The window finally cracked when another woman threw a tire hitch at it. Police ticketed the couple that left the toddler in the car—not her parents—for child endangerment, per KCTV5. Johnson County District Attorney Steve Howe told the station he is determining whether more charges are warranted.